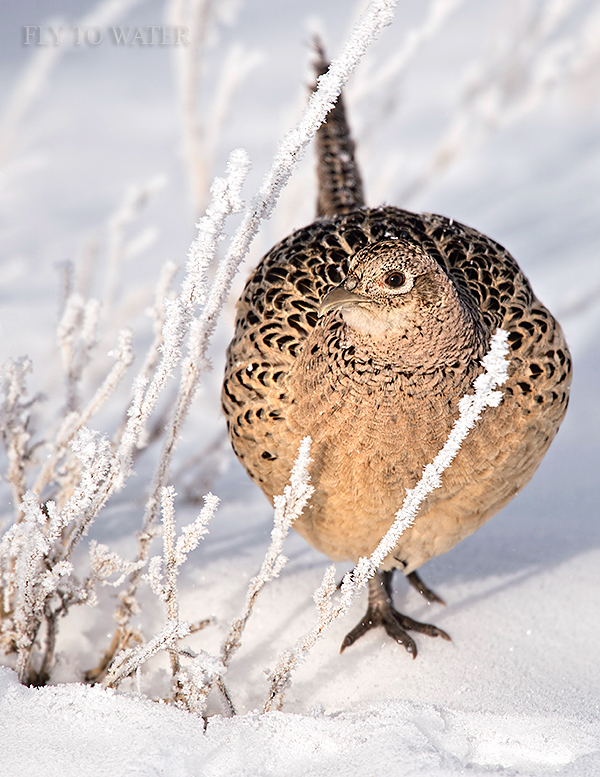 Pheasants believe strongly in a few basic maxims of life. If the unthinkable happens and rule #1 fails, a pheasant will hold still with a bravado bordering on recklessness under the belief that doing so makes them totally invisible. I always find it pretty comical to see the expression of surprise frozen on a bird's face at this moment. Probably it's a combination of shock that running did not work as planned coupled with an impending loss of bowel control. Either way, it's a high alert situation. I think this is probably the closest I've ever been to a wild pheasant with a camera. The distance here is about 8 yards. Light will make or break an image like this, and the morning sun was in the perfect position to cast a golden glow on this pretty little hen. The year's first birding trip was a lot of fun even though opportunities were scarce despite covering a lot of ground.